The UCO/Lick Observatory SPG writes software in support of engineering and optical R&D, telescope and instrument operation, observing, and data reduction. 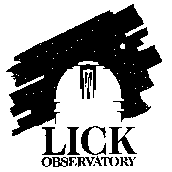 Founding member Bob Kibrick joined Lick Observatory in the 1970's followed by De Clarke in the early 1980's, then Dean Tucker and Steve Allen in 1989. Will Deich came on board in 1996. John Gates joined in 1999. Marc Reinig joined in 2004 to support the Laboratory for Adaptive Optics at the Center for Adaptive Optics Kyle Lanclos joined in 2008. The group provides all levels of software support. This ranges from chip-level DSP programming and embedded code for Galil motion controllers to high-level GUIs and image reduction tools for end users (astronomers). 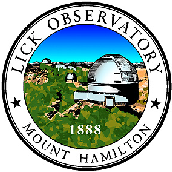 We have built software for controlling telescopes and instruments deployed at Lick Observatory on Mt. Hamilton in California. We have also built software for the HIRES, ESI and DEIMOS spectrographs, the Keck-1 atmospheric dispersion compensator, and the LRIS "red-side" upgrade, all deployed at Keck Observatory on Mauna Kea in Hawaii. We provide ongoing software support for these instruments at both observatories. We provide software for operating various equipment in UCO/Lick laboratories. We consult on the design of software for future instruments. Kyle Lanclos, Programmer/Analyst (part time).